Today: two amazing honors/projects that we recently learned about and are so excited to share! 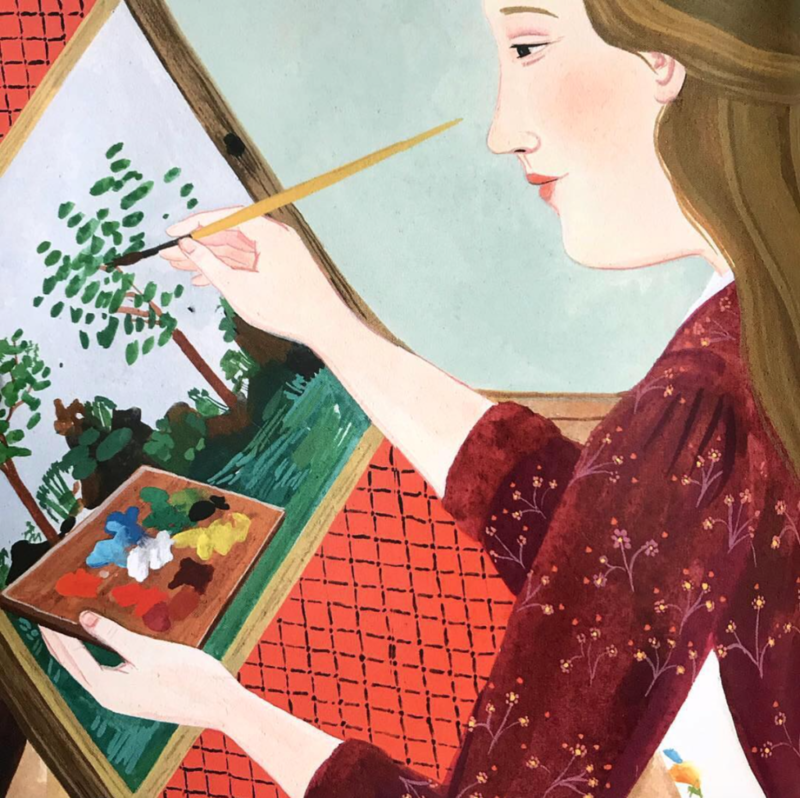 Two of our artists: Becca Stadtlander and Bodil Jane have announced some amazing news on their Instagrams, and we couldn’t wait to hop on this blog and shout it from the rooftops! The Golden Kites are the first children’s literary award judged by a jury of peers. The awards recognize excellence in children’s literature in six categories: Young Reader and Middle Grade Fiction, Young Adult Fiction, Non-Fiction for Younger Readers, Non-Fiction for Older Readers, Picture Book Illustration, and Picture Book Text. Congratulations, Becca!! We love you! Next up, Red Cap Cards artist Bodil Jane is gearing up for a fantastic event at the Van Gogh Museum in Amsterdam, coming up on January 25th, 2019. 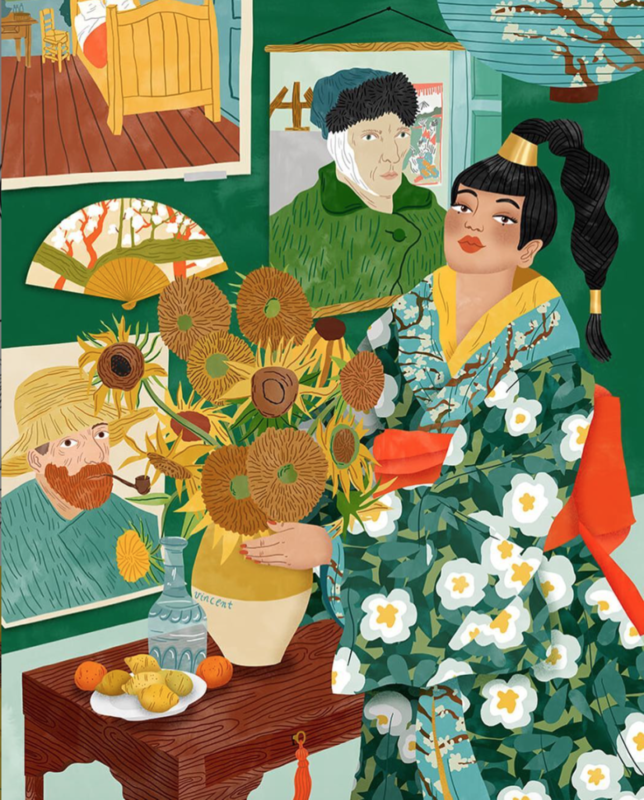 Bodil created the gorgeous illustration (above) inspired by the collection of the Van Gogh Museum and Van Gogh’s obsession with Japan. During the event, ‘Vincent on Friday & Bodil Jane’, you can win the signed print and enjoy music and workshops that are curated by Bodil Jane.